Fun learning resources for home and in the classroom! You work hard to support kids in their spiritual growth and development. The Beginner's Bible products can help – with vibrant art, text, stories, and language meant to excite and teach children six and under. Using the free, downloadable resources found below, bring the Bible to life at home, in the classroom, or at church. Introduce children to the stories and characters of the Bible with this 30-lesson children’s curriculum. 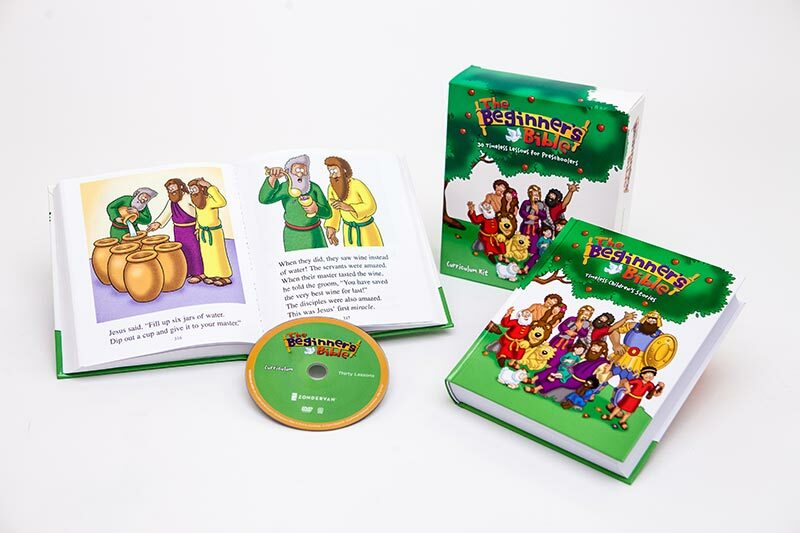 Based on the best-selling Bible storybook of our time, young children (ages 6 and under) will enjoy the animated videos, engaging teaching and fun activities as they discover the truth of God’s Word. A family take-home page for each lesson to encourage continued learning at home.